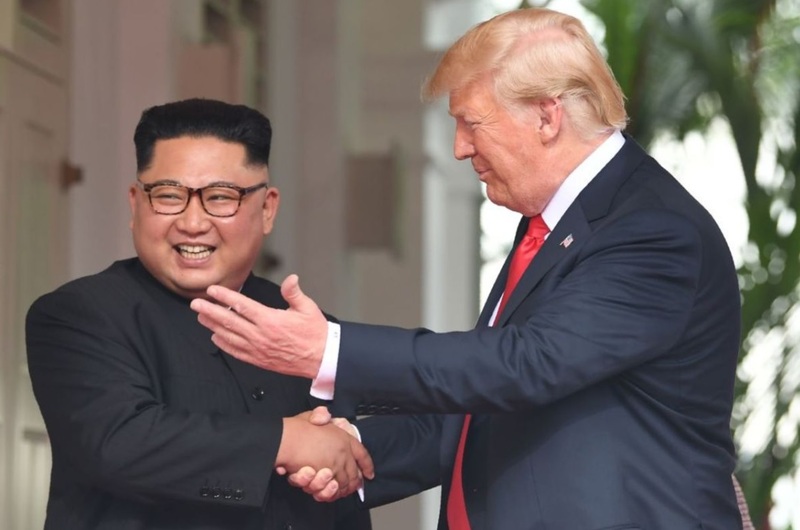 The leader of North Korea has promised to U.S. President Donald Trump to destroy a large-scale facility in Tongchang-ri in the North Pyongan Province. The facility was used to show off the North's arsenal of long-range weaponry last year including an engine for intercontinental ballistic missiles. A diplomatic source said, "Kim promised Trump during their summit on Tuesday to dismantle this facility." The source also said the North Korean dictator offered to destroy the facility as a surprise gesture of goodwill to President Trump. Trump announced the news to the world at a press conference after the summit. "It seems that Trump is giving priority to deterring the North from developing ICBM capabilities that threaten the U.S. mainland over the complete, verifiable and irreversible dismantlement of nuclear weapons," another unnamed diplomatic official said. "It's possible that Kim Jong-un, who is well aware of this, told Trump about his plan to dismantle the Tongchang-ri facility to make the U.S. president trust him." North Korea garnered the world's attention with a serious of weapons tests which included a new high-powered liquid-fuel engine at Tongchang-ri on March 18, 2017. The test culminated in a test-launch of a Hwasong-14 ICM powered by the same engine just a few months later. The deafly Hwasong-14 is said to have a range of 10,000 km making it capable of reaching the U.S. mainland. The diplomatic source added, "Kim Jong-un must have won a number of major concessions from Trump in other sectors in return for destroying such a major facility."